Who needs Hollywood when you have Florida? Yes, that's right, Universal Studios in Florida is an amazing visit for those of you wishing to add a little bit more excitement to your Florida vacation. This amazing tourist destination will excite you with thrills and chills of the movies matching in quality, yet a different experience in it's own right, with the ever popular Universal Studios, California. Located in Orlando and featuring on site hotels available, over 50 different fine dining experiences to be had, rides, nightlife venues, shows and special attractions, Universal Studios literally has something for everyone. A trip to Universal Studios, Florida is stepping into a universe that is fantastical, exciting and as if you entered a movie itself! A fabulous time to visit Universal Studios, Florida is during the Halloween season. This is especially grand for those who have a soft spot in their heart for the horror genre. Entering its 21st year, these special Halloween dedicated evening run from the end of September through Halloween night. Not only is the Florida weather spectacular this time of year, allowing for a comfortable night of screams and scares, this attraction draws in thousands of horror lovers across the globe. Filled with haunted houses, bizarre, funny and foreboding live shows, scare zones and a massive flock of horrifying creatures, monsters, maniacs and mutants roaming the streets – Halloween is literally raised from the dead. 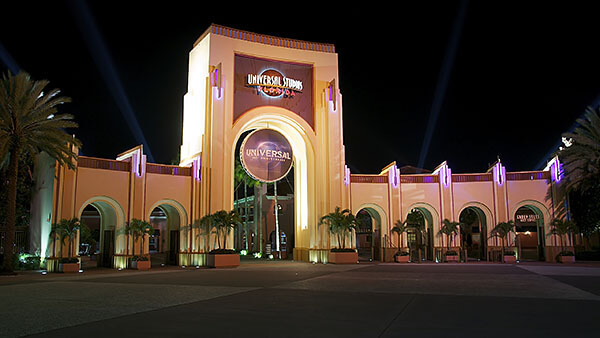 Open: Universal Studios are open 9 am to between 7 pm and 11 pm depending on the season. Last updated by Gretchen Cosier on 21 July, 2013 in Destinations. This is a picture of Universal Studios Singapore, not Florida.